Caution! This product does not support pedal or any controller which is separated into two or more unit, like wireless controller, drum and so on. Descriptions: - This is accessory special for converting PS / PS2 controller, racing wheel to XBOX360 game control device. 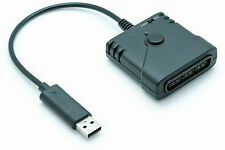 - Realize PS / PS2 controller play XBOX360 games, support vibration function. Offer a microphone port, it can support XBOX360 games. - Cable length: 12 cm Package Includes: 1 x Controller Adapter Brand Unbranded MPN uk_360-cona Platform Microsoft Xbox 360 Type Cables / Adapter Cable Length 12 cm EAN Does not apply UPC Does not Apply. Caution! This product does not support pedal or any controller which is separated into two or more unit, like wireless controller, drum and so on. Descriptions: - This is accessory special for converting PS / PS2 controller, racing wheel to XBOX360 game control device. 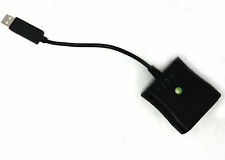 - Realize PS / PS2 controller play XBOX360 games, support vibration function. 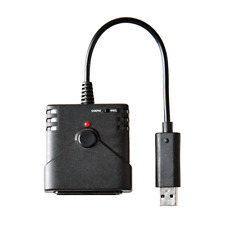 Offer a microphone port, it can support XBOX360 games. 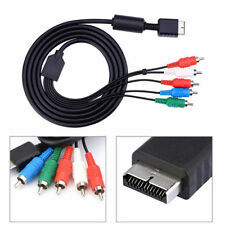 The Xbox Component AV Cable connects the Xbox console to a standard-definition TV. Fit for: Microsoft XBOX. 1 x TV Cable. Cable Length: 1.8M/ 70.87 ". Provides a superior signal transfer. Color: black. 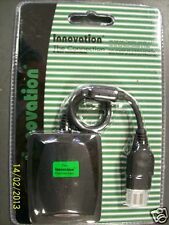 Mcbazel Brook USB Super Converter For PS2 To XBOX ONE Controller Adapter. HardwarePlatform: Xbox One. - Only the original Xbox One driver(Win7 or above) is required for use with PC. Only the original Xbox One driver(Win7 or above) is required for use with PC. HardwarePlatform: Xbox One. All key functionsmap perfectly! As stated on the front of the box. It will work on any region 360 console. An USB hub (not included) is required for connecting up to four Xbox 360 adapters on the Xbox 360 console. Compatible with ALL Xbox 360 - Region Free. Namco TEKKEN 5 10th Anniversary Limited Edition Joystick. - Only the original Xbox One driver(Win7 or above) is required for use with PC. RECUERDA QUE ES ENVIO POR MRW, LO TIENES RAPIDISIMO EN TU CASA. SOLO PARA ENVIOS DENTRO DE LA PENINSULA. Only the original Xbox One driver(Win7 or above) is required for use with PC. Pelican： Steering wheel. (Introducing the X-Connection! So Hit the Button! Hit that "Buy It Now " button and it's yours! RUMBLE !). ~NEW~X Connection's. This version will NOT work with a Neg-Con!! USB port, plug and play, Easy installation, simple operation. - Cable length: 12 cm. Edition: Standard. Part Number: 5829855072. Model: XBX-01. Get Superior Graphics from your gaming system. A pin or needle can be used to poke any air bubbles near the center to allow air to escape. This cable set has never been used. You are directly responsible for our success. We fully understand this and thus treat every single order as if we are making it for our own use! Wipe away the fog of war with the Armor3 AV to HD Converter Box, the most battle-ready piece of tech that turns your AV signal to HD signal. 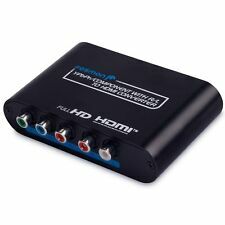 Converts your AV signal to HD signal up to 1080p. A/V Combo Cable is in excellent pre-owned condition. Achten Sie darauf, dass Ihre alten Batterien/Akkus, so wie es der Gesetzgeber vorschreibt. ist für Sie kostenlos. Batterien und Akkus, die Schadstoffe enthalten, sind mit dem Symbol einer durchgekreuzten. USB port, plug and play, Easy installation, simple operation. - Cable length: 12 cm. We're happy to help. Add to Favorite. We do not accept P.O. Boxes. USB port, plug and play, Easy installation, simple operation. Make sure this fits. by entering your model number. Support 4 types of Real Vibration: Constant Force; Sine Force; Spring Force; Ramp Force;. Item model number: H-B000RLWF7I. Manufacturer: Mayflash.